Analysis: Two prominent energy thinkers suggest a direction for what to do as the spigots start trailing off — which they feel is much closer than do most in the industry. A world oil supply crisis is looming in the near future, according to a growing number of energy analysts. 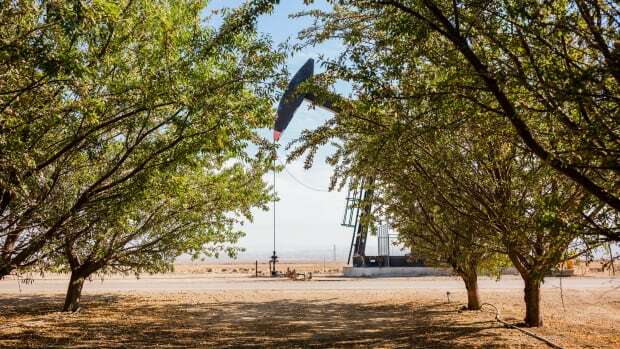 This summer, Christophe de Margarie, CEO of the French oil company Total (one of the world&apos;s top 10 oil companies), said it will be difficult to raise world oil production above 95 million barrels per day by 2020. This is the first time a top executive of a major oil company has stated a maximum world oil-production level this low. 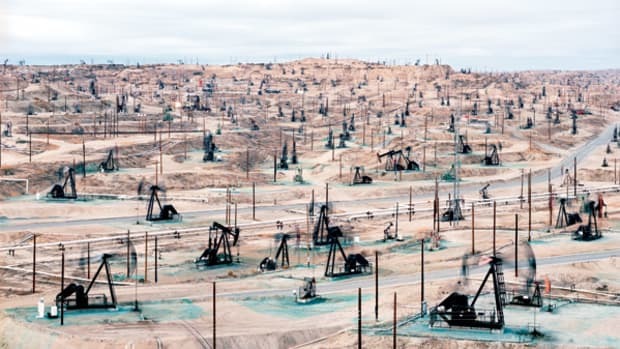 But it is consistent with maximum world oil-production estimates provided by prominent peak oil forecasters such as Chris Skrebowski, editor of London&apos;s Petroleum Review, and Colin Campbell, founder of the Association for the Study of Peak Oil. Margarie&apos;s projection is a cause for alarm since current world oil consumption is 86 million barrels per day. World oil demand is increasing at an annual rate of 1.3 percent, which is a little more than 1 million barrels a day. At this growth rate, world oil demand will surpass the 95 million barrels per day production level by 2016. The approaching world oil supply crisis can be summed up by what&apos;s happening in just two countries — China and India. These are the world&apos;s two most populous countries with a combined population of 2.5 billion people. Both countries are experiencing strong, sustained economic growth. In recent years, China&apos;s oil consumption has increased at an average annual rate of 7 percent and India&apos;s at a 4 percent annual rate. These two countries account for more than 50 percent of the annual increase in world oil consumption. China and India are newly industrialized countries, and they have literally just begun building a middle class and have huge population bases experiencing rising economic expectations and hungry for improved lifestyles such as car ownership. It is important to keep in mind that a constant percentage growth rate results in exponential growth, which means that the actual quantity increase gets greater each year at an increasing. 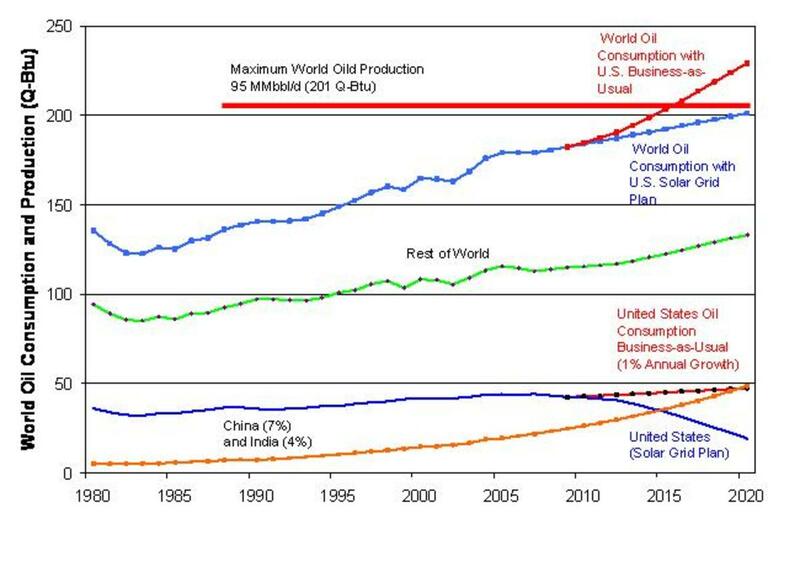 For example, if the above stated growth rates in oil consumption for China and India continue to 2020, the oil consumption in the two countries will grow from the current 10 million barrels per day to 28 million barrels per day, which is almost a tripling in the combined oil consumption for these two countries. And get this, China and India will be consuming more oil in 2020 than the U.S.
Something has to give. Who has the right to tell the Chinese and Indian people that they cannot buy their first car? They probably would reply by telling us to give up at least one of our cars per family. The simple fact is the world does not have enough oil to sustain growth in global oil demand. As global oil supplies tighten, bidding wars will intensify, and there will be a significant increase in political tensions between the developing nations and the developed Western nations, if not war. The developing situation is explosive and needs to be acknowledged. What is to be the U.S. response? It is now becoming clear that internal U.S. oil reduction policies, such as increasing vehicle fuel economy, will have little impact on future world oil-demand levels or prices. Also, we are not going to be able to solve the problem with domestic drilling. Drilling for oil in the Alaska National Wildlife Refuge and U.S. outer continental shelf is unable to address the problem because it takes 10 years to develop oil fields for production. Also, oil-production levels from these fields will meet only a small portion of U.S. need and will not reduce our dependence on foreign oil. Projected oil production from these fields is less than 5 percent of current U.S. oil supply, of which we import 70 percent. T. Boone Pickens has offered a plan to reduce oil consumption by transferring the use of natural gas for electricity generation to fuel transportation. Pickens proposes replacing the use of natural gas for electricity generation with electricity from wind farms and then to use the natural gas to fuel cars and trucks. However, the quantity of natural gas for electricity generation that can be replaced with wind electricity will only reduce transportation oil consumption by an amount equivalent to 20 percent of our oil imports. For natural gas to fuel all light cars and trucks would require increasing U.S. natural gas production by 30 percent, which would be difficult if not impossible since U.S. natural gas production is currently struggling to return to the 2001 high production level. In fact, the U.S. needs to become concerned about increasing natural gas imports and the possibility that we will become increasingly dependent on foreign natural gas supplies over the next decade. Before the U.S. can solve the oil supply problem, it must first accept the inevitability of the problem and its consequences. The good news is availability of technologies that can solve problem. Most significantly, advanced electric vehicles are entering production, which means that we can rapidly reduce oil consumption since cars and trucks account for about 50 percent of total U.S. oil consumption. Two types of all electric vehicles are emerging — fuel cell electric vehicles and plug-in hybrid electric vehicles. Fuel cell electric vehicles are powered by electricity produced from hydrogen gas passing through a fuel cell. Plug-in hybrid electric vehicles are powered by ion-lithium batteries for 40 miles. When the batteries become discharged, a small engine seamlessly kicks in to run a generator that produces electricity in place of the batteries. Earlier this year, Honda began leasing the Clarity fuel cell electric car in Los Angeles. All car companies are developing fuel cell electric vehicles. Daimler and General Motors have announced that they will be ready to join Honda in the production of fuel cell vehicles by 2010. The availability of fuel cell vehicles is contingent on the availability of hydrogen at filling stations since fuel cells employ hydrogen to produce the electricity for the electric engine. Extensive testing of fuel cell vehicles indicates that hydrogen is as safe as gasoline, and there are zero tailpipe emissions, just small amounts of water vapor. The hydrogen for fuel cell electric vehicles can be produced by gasification plants. Gasification is a 150-year-old technology, and plants could be built rapidly in all 50 states to produce low-cost hydrogen. The best feedstock for gasification plants is "cellulosic" biomass. But a cellulosic biomass production and distribution system does not exist in the U.S. 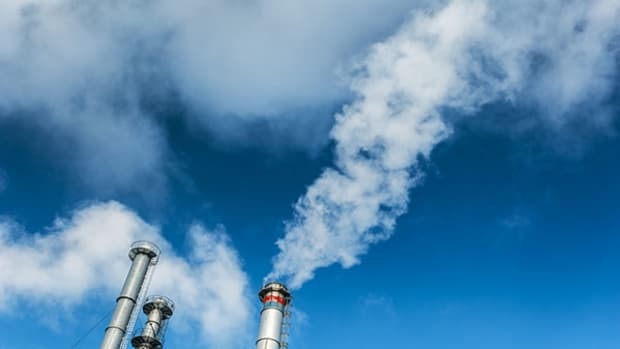 Therefore, the initial feedstock for gasification plants will have to be Western lignite coal until it can be replaced through the development of a cellulosic biomass production and distribution system. GM, Toyota and Nissan have announced plans to have plug-in hybrid electric cars in showrooms by 2010 with driving ranges of more than 300 miles and fuel economies of more than 100 miles per gallon. The electricity used to recharge batteries can be supplied by wind farms, which can be built in the high wind areas of the Midwest and Northwest to support growth in the plug-in electric vehicle market. Since fuel consumption of plug-in hybrid electric vehicles is only 20 percent that of conventional gasoline vehicles, biofuels can replace gasoline. The fuel cost of electric vehicles, whether it is grid electricity or hydrogen, will be less than what we are currently paying for gasoline. The emerging electric cars will have comparable if not superior driving performance to conventional gasoline cars. And electric vehicles can be large or small in styles similar to the cars we drive today. While a complete transition to electric light cars and trucks by 2020 will not completely solve our foreign oil import problem, it will reduce oil imports by 60 percent. To realize a complete elimination of oil imports will require expanding fuel production by gasification plants for heavy transportation. But before the U.S. can exploit its vast wind and solar resources on a large scale, the U.S. will have to build a national electricity transmission grid to distribute wind electricity from the Midwest and solar electricity from the Southwest to local markets nationwide. The construction of a national transmission grid will require a congressional mandate on the scale of the Eisenhower interstate highway project. In addition to the production of fuel from cellulosic biomass, low-cost solar and wind electricity can be applied to electrolysis plants to produce hydrogen from water. Dependable electrolysis plants have been producing large quantities of hydrogen for fertilizer production in Norway for the past 100 years. With adoption of electric vehicles, development of a national wind and solar electricity production system, and a national electricity transmission system the U.S. can end foreign oil dependence by 2020 and build a truly sustainable and affordable 21st-century energy system by 2050. In conclusion, the transition from oil in a timely fashion will be a difficult task to accomplish given the enormity of the U.S. energy system and the power of vested oil interests. To become independent from foreign oil by 2020 will require strong political leadership, public commitment and a World War II-scale mobilization of resources. The question is: Do we possess the foresight, leadership and public will to make this historic transition before the global oil supply crisis strikes home? Based on the past experience of Japan, North Korea and Cuba, an Oxford researcher identifies three possible responses to peak oil: Predatory militarism, totalitarian retrenchment and socioeconomic adaptation.